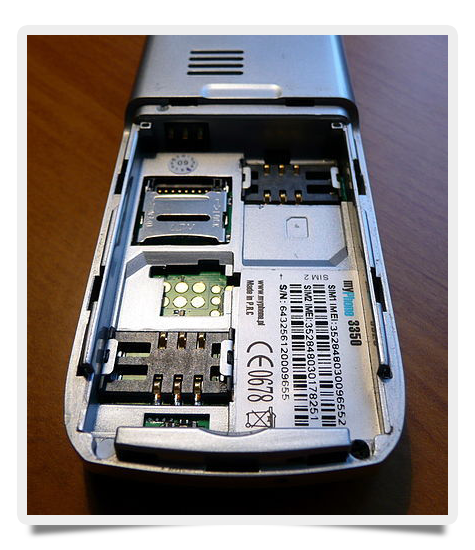 Tri-SIM: When Dual SIM Phones Just Aren't Enough? Broadband News » Features » Tri-SIM: When Dual SIM Phones Just Aren’t Enough? Tri-SIM: When Dual SIM Phones Just Aren’t Enough? Subscriber identity modules (SIMs) are integrated circuits used in smartphones to encode your international mobile subscriber identity (ISMI). Inscribed on small “SIM cards,” these circuits are effectively your fingerprint in the world of digital communication and are used to both identify and authenticate your access to a network. Several companies — such as Nokia and Samsung — developed dual SIM phones which allowed users to connect with two different networks simultaneously, in effect creating two separate devices. Great for the bring-your-own-device (BYOD) crowd, dual SIMs let smartphones do double duty as personal and business options but without the risk of improper access to a networked account. Now, technology manufacturer LG has announced the release of a tri-SIM phone — but does anyone really need one? To understand if tri SIM is the next big smartphone development, it’s worth knowing about what’s already on the market. Single SIM choices remain the most common, since most users don’t need to switch between carriers or conduct two phone calls simultaneously. To some extent, single SIMs remain popular thanks to reticence on the part of wireless providers; they don’t want users shopping around for extra networks. Dual SIM shift, the simplest form, has two SIM card slots but only allows one active card at a time. Users can switch between cards using their phone’s onscreen menus. Dual SIM dual standby (DSDS) allows both SIMs to run at the same time but allows only one to answer a call. Once a SIM is activated, the other SIM deactivates, and any incoming calls will be sent to voicemail. Dual SIM full active (DSFA) lets both SIMs connect at the same time. This means a user can receive two phones and switch freely between both, or send a text message using one network while talking on the other. These phones contain two transceivers which may have identical network capacities (for example, 3G) or may have different bandwidth support. LG believes the market is ready for an active tri SIM phone which will allow you to surf the Internet, make a call and type a text message all at the same time from a single smartphone. There are some caveats, however. First, expect to see these phones in areas where multiple providers are common; countries where only a few large corporations own the mobile airwaves won’t get as much use out of tri SIM because providers will likely adopt an all-or-nothing attitude. Second, these smartphones will come with a substantial price tag, especially in their first generation, and may not be worth it for businesses or users already happy with their dual SIM performance. Four SIM units have also been produced, such as the Cherry Mobile quad, but LG is the first global manufacturer to push hard for tri SIM phones. While companies that rely heavily on telecommuting employees or always-on connectivity will certainly benefit from another SIM card, most users won’t be rushing to replace their current phones with a tri SIM version.